Popular Book Now Back In-Stock! Presents remarkably clear prophetic detail showing where the world is on God's Timetable. 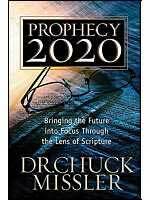 In examining truth of Scripture this book reveals the turbulent present and how the world will transition into the powerful future. Executive Producer Christian J. Pinto has been shooting reenactments this past week, scenes which occur inside. Next week, Chris will be shooting reenactments which occur outside. Chris said the shooting this past week turned out very well, and was extremely high quality. He asks your prayers that the outside shooting will also turn out well. 1) Leadership of President George Washington in starting the building of Washington, D.C.
2) Masonic Baal ceremony called "Corn, Wine, and Oil"
3) Pierre Charles L'Enfant, a French Freemason, who drew the original map of Washington, D.C. The material for "Riddles In Stone" is far more powerful and compelling than Volume I, "The New Atlantis". Remember, we are continuing to run a "Pre-Publication Sale", where you save $5.00 by reserving your copy now, and we gain the money we need to finish "Riddles In Stone" on time and with the quality of Volume I. If you have seen "The New Atlantis" and plan on buying "Riddles In Stone", please do so now. Award-Winning Video -- Volume One -- The New Atlantis -- America's true history of the founding of our government is now told. 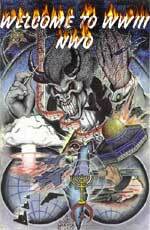 Hear, see President Bush claim that he invaded Iraq and Afghanistan because he was planning to fulfill the "New Order of the Ages", the title given to the Rosicrucian Plan to establish America as a nation who would gradually lead the rest of the world into this global system. That Plan was created by Rosicrucian leaders Queen Elizabeth I and Sir Francis Bacon between 1580-1600. Once you understand how this Plan was created, you will understand how important it was for our Founding Fathers to precisely line up the original five American cities -- Boston, New York City, Philadelphia, Baltimore, and Washington, D.C. -- with the pagan monument, Stonehenge! Further, you will see how important it was for Washington, D.C. to not only be lined up with the other cities, but to be exactly located on the North-South 77th Meridian! This Scripture is being fulfilled in our Daily News! For the past 100 years, Christian denominations have been falling like dominoes in their rejection of key Biblical doctrines. Mainline denominations fell first, but today, even the Fundamental churches are falling by the wayside, most of them falling either for the "Seeker Sensitive" lie or the allure of New Age thought. The key to resisting this type of drifting away is for the preacher, the teacher and the individual Christian to really and truly know Bible doctrine, prophetic teaching and to be skillful in how they apply that understanding to their everyday lives. What did the Apostle Paul urge? Yet, today, even too many genuine Christians do not skillfully know their Bibles! Fundamental Christians of 50-100 years ago spent time each day studying their Bible, with a commentary or a book written specifically for a particular passage at their side. 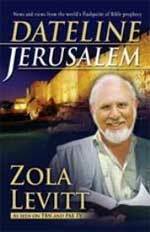 Some of the richest specifically written books are study guides for the writings of the Apostle Paul. Do you study like this? We need to get back to this kind of study, for that is the only way in which the moral rot of our churches and our society is going to be halted. 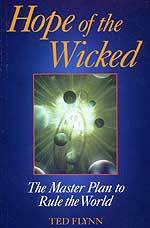 We would love to sell as much or more fundamental Bible material as we do material warning of the Illuminati Plan. Today, Christian bookstores have virtually eliminated fundamental Bible study materials, replacing them with pop psychology or writings that seem good, but are false. As I walk the semi-annual Christian Book Market, the strain upon fundamental publishers is palpable. Even though they do not want to eliminate their fundamental study material, they might have to do so just to stay in business. 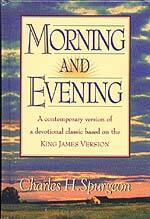 Please prayerfully consider our plea: we want to sell fundamental Bible materials, so look at your own devotional habits, to see if you are studying in this old fashioned manner; and, as you consider your gift-giving this Fall, please consider Bible commentaries, Bibles, Personal Devotional Materials and other study guides. To see our selection, please click on the Bookstore button and then look along the far left-hand side. You will see such topics as "Bibles", Bible Study Resources", "Bible Study Software". Or, you can use the Search feature on the left side of the Bookstore main page, searching by key word. Help us maintain the availability of these wonderful study materials, or soon, they may be gone. I. When the Iranian President addressed the UN General Assembly this week, he called for the appearance of the 12th Imam Mahdi, the Islamic Messiah. At this point, he is clearly on the same page of plans as is Skull & Bones President Bush! "From the beginning of time, humanity has longed for the day when justice, peace, equality and compassion envelop the world. All of us can contribute to the establishment of such a world. When that day comes, the ultimate promise of all Divine religions will be fulfilled with the emergence of a perfect human being who is heir to all prophets and pious men. He will lead the world to justice and absolute peace. One Satanically-possessed man will take upon himself all these titles. He will explain that the same "Christ Consciousness Spirit" which indwelt each of these founders of each of these religions during their respective time periods is indwelling him now; however, he will claim that the "Christ Consciousness Spirit" which is indwelling him is a superior spirit to that which indwelt each of these founders of the different religions. Can you sense how the whole world seems to be trembling toward the appearance of the Messiah figure of every major religion on earth? For years, Cutting Edge has detailed the Plan by which Antichrist will come striding on to the world scene in the imminent future. However, when major government leaders like the Iranian President begin talking about it publicly, the appearance must be very close. However, we also wish to make one very major point: When the Iranian President told the world he was awaiting the "Perfect Human Being" which shall arise to bring "justice and absolute peace", and when he said that such an appearance would bring "justice and absolute peace" to the earth, he shows that he is on the same exact page as Skull & Bones President Bush! In "Secret Mysteries of America's Beginnings, Volume I, The New Atlantis", we show that the Baconian Plan which Bush claimed he was following foresees the ultimate goal of staging a Masonic Christ! Therefore, Presidents Ahmadinejad and Bush are following the same exact plan! Doubt it not, for this plan is a global one, and is being secretly followed by all major leaders of the world. Does this mean that both Bush and Ahmadinejad are planning the World War III which the Illuminati has planned as the major crisis which will spring their Christ on to the world scene? "WASHINGTON – While most of the reporting and analysis of Iranian President Mahmoud Ahmadinejad's speech at the U.N. focused on what he had to say about the West and specifically the U.S., his chilling closing remarks were lost on most listeners – and apparently all reporters. The last two paragraphs of his remarks revealed his steadfast and driving conviction .... that a messianic figure, known as the 'Mahdi' to Muslims, is poised to reveal himself after an apocalyptic holocaust on Earth that leaves most of the world's population dead ..."
"Ahmadinejad and others in Iran are deadly serious about the imminent return of the 12th imam, who will prompt a global battle between good and evil (with striking parallels to biblical accounts of 'Armageddon'). Some interpretations of the events that precede his coming include a war that wipes out most of the world's population." Even though Islamic scholars emphasize that the "timing is not clear", the Iranian President feels strongly enough that the timing is clear enough, and close enough, for him to make bold public statements repeatedly such as this one. 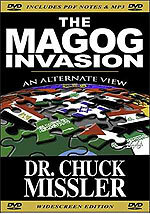 According to the Illuminati Dialectic Process -- Controlled Struggle Brings About Controlled Change -- President Bush and President Ahmadinejad are likely to be on opposite sides of this planned World War III; however, the Bible is quite clear in Ezekiel 38-39 that Iran (Persia) will march with Russia against Israel in the Latter Days and that God Himself will destroy both the armies and the nations which sent them. Therefore, God will destroy Iran -- not America, nor Israel. Remember this prophetic fact as the planned struggle between Israel, the United States, Iran, Russia, and China plays out over the next weeks and months. Let us finish our segment here by going back to the World Net Daily article, to see that a powerful spiritual force seemed to grab hold of the UN delegates listening to the speech given by the Iranian President. You can see how spiritually prepared the peoples of the world are for the appearance of the Divine Messiah of which Ahmadinejad spoke. "After Ahmadinejad last spoke to the United Nations, in September 2005, he told Ayatollah Javadi-Amoli in Tehran, in a videotaped discussion, about a strange, paranormal experience he had while speaking. He recounted how he found himself bathed in light throughout the speech. But this wasn't the light directed at the podium by the U.N. and television cameras. It was, he said, a light from heaven .... Ahmadinejad wasn't the only one who noticed the unearthly light ... The Iranian president recalled being told about it by one of his delegation: 'When you began with the words 'in the name of Allah,' I saw a light coming, surrounding you and protecting you to the end'. Ahmadinejad agreed that he sensed the same thing." "On the last day when I was speaking, one of our group told me that when I started to say 'Bismillah Muhammad,' he saw a green light come from around me, and I was placed inside this aura', he says. 'I felt it myself. I felt that the atmosphere suddenly changed, and for those 27 or 28 minutes, all the leaders of the world did not blink. When I say they didn't move an eyelid, I'm not exaggerating. They were looking as if a hand was holding them there, and had just opened their eyes – Alhamdulillah!" Make no mistake about it: demonic forces are controlling all world leaders committed to the Illuminati plan to produce their Masonic Messiah. II. President Bush also clearly suffered a embarrassing political defeat as Iran took her case before the supportive General Assembly, while France's President Chirac created a major diplomatic crisis for the President's policies. "UNITED NATIONS — As world leaders converged at the United Nations on Monday, French President Jacques Chirac dealt a significant blow to the Bush administration's effort to slow Iran's nuclear development, saying his government would join Russia and China in resisting the U.S. push for sanctions against Tehran. 'I am never in favor of sanctions', Chirac told Europe 1 radio on the eve of the General Assembly's annual debate. 'I have never observed that sanctions were very effective'." How much of a diplomatic blow is it for erstwhile ally, France, to join Russia and China in supporting Iran in the struggle with President Bush? "... on both issues, Washington finds itself on the opposite side from several Security Council members, including Russia and China, both of which have veto power on the council. In the Sudan case, the two nations, backed by other council members such as Qatar, insist that the U.N. must not intervene in a nation without its government's permission, even when the international community does not agree with the country's actions. The change of heart by France means three of the five veto-holding members of the Security Council now oppose the U.S. stance on Iran." One of the complaints which members of the CFR have voiced against Bush is that he refuses to sit down with representatives of North Korea and Iran to see if a negotiated settlement is possible. Evidently, Bush does not consider these countries worthy of sitting down with him at a negotiating table. At least, that is how the leaders of these countries feel. This refusal to engage in direct talks persists in the Bush camp. "European diplomats say they want the United States to sit at the same table with Iran before they consider talks to have failed. 'I do not believe in solutions that do not involve dialogue … taken to its limits', Chirac said Monday. Bush has ruled out discussions with Iranian officials unless they halt their nuclear program, and there will be no U.S. contact with the Iranian delegation this week, officials said." We have noted how brilliantly Russia, China, and Iran maneuvered the nuclear arms crisis into the United Nations. In this world body, both Russia and China have permanent veto power in the Security Council, while in the General Assembly, anti-American votes heavily predominate. For this reason, the Iranian President could confidently appear before the delegates of the world with his mixture of virulent anti-American rhetoric and Messianic visions. When France stepped in to oppose sanctions on the one hand while proposing a new round of negotiations on the other hand, President Bush was suddenly staring three permanent veto powers in the face. This reality means that Bush will likely get no satisfaction through the United Nations. Yet, this next article tells us that the President is becoming more and more committed to the United Nations. Remember what President Bush, Sr., said in the aftermath of the Iraqi invasion of Kuwait? He said that the crisis might just give the United Nations the opportunity to finally realize its destiny which the original founders of the world body had envisioned in 1945. Evidently, this President Bush shares his father's enthusiasm for the United Nations -- which is the budding government through which Antichrist will eventually rule. "President Bush, who once said the United Nations was teetering on the brink of irrelevancy and demanded it show some backbone, has increasingly turned to the organization for international problem-solving ... On issues from North Korea to Iran to Sudan, the president, who arrives in New York today to attend the U.N. General Assembly's annual meeting, has deferred to the United Nations to drive action." You are not alone in scratching your head, wondering how this "Christian, Conservative" President could so completely change course and now defer to the UN on some of the most important issues of the day! How many Bush supporters really realize this reality? This next segment offers the official reason Bush is catering to the world body all of a sudden. "Critics say Mr. Bush has been forced to become more multilateral after bucking the world body by invading Iraq .... The United States will spend more than $1 billion this year on international organizations, much of it through the United Nations ... Still, since his assessment that the United Nations was becoming irrelevant, the president has sought to employ the body when faced with criticism that he is intent on running roughshod over world consensus..."
We have seen Presidents Reagan, Bush (Sr.), Clinton, and Bush (Jr.), all traipse up to the UN to get its approval on various issues before the White House could act. The most glaring example of this deference to the UN occurred in 1990, when President Bush (Sr.) could not act to repel the Iraqi invasion of Kuwait until he gained permission and authority from the world body. This is the ultimate Plan. One day soon, the peoples of the world are going to be so disgusted by the collective rule of independent, sovereign nations that they will DEMAND that the UN disband the authority of all governments of the world and take over all functions of government. By that time, Antichrist will probably be on the world scene, planning to rule through the world body. And, what is the Plan once the UN has all the weapons and all the authority formerly belonging to the sovereign nations? Listen as the Plan was enunciated, in 1948. Now you know the truth as to the real reason the United Nations was created. Don't you feel glad now that you know how dependent this current President Bush is becoming on the future government of Antichrist. III. A top American general finally told the entire world how difficult Iran would be to successfully attack. Mass Media is finally beginning to tell the truth about how shaky American intelligence on Iran really is, likening the intelligence propaganda campaign the Bush Administration is waging about Iran's WMD threat to the lies told about Iraq. Cutting Edge has long taught that American forces would have an infinitely harder time defeating the much more powerful Iranian military than it did in dispatching Saddam's Republican Guard; and, we recounted the same facts which General Abizaid covers, below. "Number Three, they have a pretty robust terrorist surrogate arm that could in the event of hostilities cause problems not only in the Middle East but globally." Iran has constantly threatened to activate a world-wide terrorist attacks within American should she be attacked. Remember the response of Iranian leadership to the troubles the Federal Government experienced in the aftermath of Hurricane Katrina? In NEWS2074, entitled, "IRAN'S LEADERSHIP THREATENS THE U.S. WITH DEVASTATION, SAYING THEY LEARNED VALUABLE STRATEGIC LESSONS FROM THE GOVERNMENT RESPONSE TO HURRICANE KATRINA", we reported that the Iranian leadership noted the bungling and incompetence of the Federal Government in the Katrina aftermath, and learned exactly in what areas the government was vulnerable. Do not be deceived: Iran controls much of the world's Islamic terrorist cells, and will hit hard if we attack her nuclear facilities. Had President Bush really wanted to attack Iran's nuclear facilities, he would have done so in August, 2003, when he began threatening to do so, and still had all our naval and air forces on attack alert at bases in the Middle East. Our forces are much weaker now while Russia and Iran have greatly strengthened their defenses, particularly in the area of Scalar Weaponry, the most powerful weapon on earth! But, once Russian President Putin, French President Chirac and German Chancellor Shroeder warned President Bush that they would not tolerate any more "Regime Changes" in the Middle East, President Bush was on the hot-seat! (Read NEWS1802). Since Russia's Putin had the power of the superior Scalar Weaponry behind him, he had the authority to back up his strong words. Since that date, Bush has not overthrown any of the other "Axis of Evil" nations, North Korea and Iran. We fully expect this manufactured crisis over Iran's supposed nuclear weapons progrem to simply be "Rumors of War"! The word is starting to get out to the American people that the official government story as to what happened on 9/11 is sheer falsehood. Read NEWS1956, which reports that 50% of all New York City residents believed the government had prior knowledge of the attacks of 9/11, yet took no action whatsoever! At this point, the earliest we could trace common knowledge of 9/11 was 1995, when the Illuminati Card Game was issued. However, this next story places the knowledge of 9/11 fully 40 years ago -- to President John Kennedy! "A strange Associated Press article about presidential scribblings makes a bizarre reference to a John F. Kennedy doodle in which he seemingly predicted a '9-11 conspiracy' 40 years before it happened. AP out of the Houston Chronicle reports, 'President Kennedy, known for separating his life into compartments, would enclose words and numbers inside circles and boxes. Events long after his death give one doodle an unintended chill: A small circle with the numbers '9-11' contained within. Just to the lower left on the page, the word 'conspiracy' is underlined." "The doodle is part of a new book, Presidential Doodles, which analyses the jottings of eight commanders in chief." Is it possible that President Kennedy knew of the plan to attack on 9/11, all the way back in the early 1960's when he was President? Of course it is, as the Illuminati regularly plans events 50 years or more before they occur. The ruling elite of secret societies like Skull & Bones likes to plan this far in advance because they know the average citizen cannot comprehend that any organization could possibly plan major events that far out. Most Americans are mentally trained to believe that events occur by random and not by plan, so they rebel especially hard at the idea that any event could have been planned 40-50 years before they occur! This concept of planning for the attack on 9/11 far in advance also given credibility when you realize that the Illuminati has especially revered the date of September 11 for the past 4,000 years! Please take a moment to read this exciting fact in NEWS1756! Cutting Edge has just posted a new article which strongly suggests that the people who created the Ozzy Osbourne music video in 1991 also knew the details of the 9/11 attacks and were communicating those facts to "people in the know". 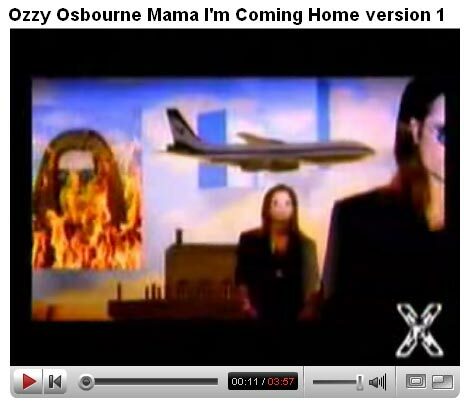 Did Illuminati "Telegraph" Her 9/11 Attacks Through Ozzy Osbourne's Video "Mama, I'm Coming Home"? We have noted many times that the Illuminati loves to telegraph her intentions, fully aware that no one can stop their plans, even if the plans are known. 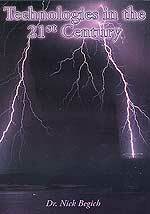 Ozzy's video -- released 10/19/1991 -- presents virtually all elements of the 9/11 attacks. Scenes are shocking, pertinent, and very revealing. Was this video created so that "people in the know" would be informed as to the plans to carry out the 9/11 attacks, even possibly to the point of knowing the timing? You be the judge. This video is not the "Smoking Gun" which the two cards of the Illuminati Card Game represent, but these scenes offer compelling proof that the plans of the attacks of 9/11 were well known many years in advance. We next consider the President's own strange remarks about explosives being set high in buildings to prevent people from escaping as the buildings are brought down! "During his speech Friday in which the President argued for the gutting of the Geneva convention and the legal classification of torture, Bush made a strange comment about explosives and their placement in U.S. buildings. Was this a tacit admission of 9/11 controlled demolition?
" 'For example, Khalid Sheikh Mohammed described the design of planned attacks of buildings inside the U.S. and how operatives were directed to carry them out. That is valuable information for those of us who have the responsibility to protect the American people. He told us the operatives had been instructed to ensure that the explosives went off at a high -- a point that was high enough to prevent people trapped above from escaping'." "The onset of both towers' collapse began at high points in the buildings. Is Bush implying planted incendiary devices were responsible for their destruction?" Were these comments a "Freudian Slip" on the part of the President? He made these comments during the September 15, 2006, Press Conference, a medium where his words are far less scripted than in other speaking environments. We believe this is likely. President Bush certainly knows the truth and that truth could slip out of the lips of a man like Bush who has exhibited trouble in the past in thinking and speaking "on his feet". V. Arabs are coming to view the entire Middle Eastern region -- from Iraq to Iran to Afghanistan to Israel -- as swinging in their long-term favor. "For the more than two decades that I have been involved, directly and indirectly, in Middle-Eastern negotiations and, at the same time, in my research and analysis of the region’s trials, never have I witnessed such turmoil, notes Alon Ben-Meir ... At present, nearly every nation there is embroiled in an internal conflict that is shaking not simply the government’s power base but often the very foundation of the state itself. Many things beyond the United States’ control have happened to bring the Middle East to this point. But unless the United States changes its policies toward the region in a fundamental way, it will find itself in a never-ending quagmire, sapping its own energy and resources and seriously threatening its own national security while ushering in even greater regional upheaval of historic proportions." The author then lists the individual countries who are shaking at their very foundations right now, as American policy since 9/11 has rocked them horribly. "In Iraq the security situation is worsening, with the number of sectarian, execution-style killings increased dramatically in recent weeks from 100 to 200 daily ... To be sure, Iraq is already in a civil war. Rather than offering any solution, the administration’s policy of 'staying the course' will only hasten Iraq’s inevitable violent disintegration." Did you catch that last sentence? By bravely urging Americans to allow him to "stay the course" in Iraq, President Bush is just making the situation worse. The effect is like that of a pressure cooker, where the pressure inside will only dramatically increase as long as the lid is kept on tight; once the lid is removed, the pressure quickly dissipates. 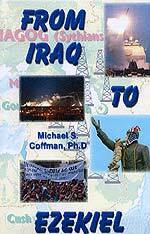 America's continued presence in Iraq is akin to keeping the lid screwed on tight. "Turning to Iran, the situation there is not encouraging. Iran may be living in a fantasy world, but the Iranian clergy absolutely believe in their divine power and destiny to dominate the entire region. Tehran continues to stall to gain for time in which to enrich uranium while exploiting any sign of weakness by the West. So far, the Iranians have successfully played Russia and China against the United States, and the EU to prevent the imposition of economic sanctions ... The Iranian government has also emboldened Hamas to challenge Israel, which it has done, precipitating nothing but destruction to the Palestinians. Iran continues to threaten Israel’s very existence which Jerusalem takes extremely seriously." "Saudi Arabia is probably more anxious about the war in Iraq and its consequences than any other nation in the region. The Saudi royal family feels particularly threatened by fears that a bloody conflict between Shiites and Sunnis will spill over into Saudi Arabia. Riyadh was extremely disappointed when Israel did not break the back of Hezbollah in the Lebanon war and thereby weaken Iran’s regional influence. " "Syria also finds itself in a difficult position ... The troubles caused by Syria’s weak economy, rusting military hardware, and growing public restiveness have been aggravated by the Bush administration’s desire for a regime change in Damascus ... but as long as Syria’s special interest in Lebanon and its desire to regain the Golan Heights are not addressed--and the government remains under the cloud of regime change—the present leadership feels it is rightfully protecting the country’s national interests. " "Jordan ... The raging civil war in Iraq which could spill over into Jordan, the growing strength of the Muslim Brotherhood and the continuing violent conflict between Israel and the Palestinians, (65 percent of the Jordanian population is of Palestinian origin), could change the picture dramatically overnight. Unless the Israeli-Palestinian conflict is settled and Iraq becomes governable again, Jordan will remain on a shaky ground and a prey for Islamic militancy." "What of Israel? Most Israelis are reeling from the (Lebanon) war, furious over its indecisive victory. That Hezbollah was able to fire nearly 200 rockets into Israel’s urban centers until the last day of the war is viewed as due to a terrible failure of both the political and military leadership. The Olmert government is clinging by its fingernails to power ..."
"Finally, Egypt, which rightfully sees itself as the leader of the Arab world, is biding its time ... Cairo faces serious internal challenges, such as the rise of the Muslim Brotherhood, growing poverty and illiteracy, and a lack of social services. Despite the apparent calm and non-violent atmosphere in the streets, Egypt could actually explode and, if so, drag much of the Middle East with it." This is the Middle East, according to this American Jewish scholar. This is the region which the Illuminati plans to explode at just the right time so their Masonic Christ can appear (NEWS1056 and NEWS1057). President Bush's policies are setting the stage for this conflagration! Doubt it not, and disregard the public rhetoric to the contrary (Learn of the Propaganda Maxim that Truth is most often found in the opposite direction of the public rhetoric, NEWS1558). You will never read or hear the news the same way again! VI. The effort to discredit President Bush continues in high gear, with some suprising criticisms this week. "Bigger than Vietnam -- Geostrategic thinker and former National Security Adviser Zbigniew Brzezinski not only calls the counter-insurgency campaign in Iraq unwinnable, but he also describes Iraq as 'the biggest blunder in the history of the United States', a sentiment widely shared among America's friends abroad, and by Democrats and 'moderate' Republicans at home. The Vietnam War was also a major blunder, but not of the same magnitude; it was a local battle lost in a global war won." This last article for this section speaks again to the fact that Bush's Iraq war policy is simply and only strengthening Iran! President Musharraf of Pakistan has stood firmly beside President Bush since the 9/11 attacks, supporting the President's War On Terror generally and his hunt for Taliban and for Osama bin Laden specifically. However, President Musharaf dropped a diplomatic atomic bomb on Friday; if he is to be believed, President Bush could be further discredited. "Pakistani President Pervez Musharraf has said that the US threatened to bomb Pakistan in 2001 if he did not cooperate in the war against the Taliban in Afghanistan after the September 11 terrorist attacks. Musharraf said that Richard Armitage, then US deputy secretary of state, issued the threat to Musharraf's intelligence director. 'The intelligence director told me that (Armitage) said, 'be prepared to be bombed. Be prepared to go back to the Stone Age', Musharraf said. 'I think it was a very rude remark'." No wonder Pakistan's President so forcefully swung behind President Bush's War On Terror campaign following 9/11. Vast numbers of Pakistanis and even more Muslims always wondered how Musharaf could so completely betray Islamic ideals by supporting the "Great Satan" against the home grown Taliban and the beloved Osama bin Laden. In fact, a number of attempts have been made on Musharaf's life since 9/11. When you understand the intense conflict between Pakistan and India, you can see why President Musharaf did not want his country bombed "back to the Stone Age" by the superpower, America. If Pakistan were bombed so brutally, India would have little trouble winning a war against Pakistan and taking control over the disputed Kashmir Province. In fact, do you remember that Pakistan and India came close to conventional and nuclear war in the weeks after 9/11? With India threatening to go to war, Pakistan's leadership undoubtedly felt that they could not oppose the United States at such a crucial time. But, why would President Musharaf choose this moment to make this fact public? His remarks could not have occurred at a worse time for President Bush, as he faces election pressures and mounting discontent from his wars in Iraq and Afghanistan. Will his remarks be viewed, in time, as being one of the nails in the proverbial coffin of Bush's political life? We can only wait to see, but it does appear that Musharaf's comments can only have the effect of further discrediting him to the American people. VII. Did Pope Benedict XVI speak out of turn, or did he speak deliberately, when he insulted Muslims worldwide by insulting the Prophet Muhammed? "Pope Benedict XVI succeeded in galling the Muslim world by citing a quote that the Prophet Mohammed brought "only evil and inhuman things" to the world, but also succeeded in instilling fear into Christians in general and Catholics in particular. Christians now fear the new pope seeks to push the Catholic Church in an extreme conservative, if not reactionary, direction. It is not for nothing that a columnist in yesterday's Guardian suggested in his analysis of the incident that 'God's Rottweiler' was 'show[ing] his teeth'." "The outcry followed Pope Benedict's speech last Tuesday in Regensburg, Germany, which was devoted to an attempt to displace science as the central pillar of contemporary secular thought. But from the beginning the pope came into sharp conflict with Islam. 'Show me just what Mohammed brought that was new', Benedict said, quoting the Byzantine Emperor Manuel II, 'and there you will find things only evil and inhuman, such as his command to spread by the sword the faith he preached'." Outcry and rage across the Islamic world was predictably quick. Demonstrations turned violent and the Pope was burned in effigy. One Islamic scholar even suggested that the Pope deserved to be executed for his remarks. Personal security around the Pontiff was beefed up and a trip to Turkey was put off. Even though the Vatican and other Catholic apologists tried to say that Pope Benedict XVI was "misunderstood", a careful reading of his speech offered the opposite conclusion. "Not only does the pope believe Islam is a violent religion spread by force, he also believes there is no room for reason within Islam, in complete contradiction to Christianity, which is based on reason. This does not look like a misunderstanding or slip of the tongue - this is apparently what the pope believes." One Arab newspaper quickly urged the Pope to do something to stop the rampage. "It’s immensely sad that Pope Benedict XVI has undone in one fell swoop the efforts of his predecessor and mentor John Paul II, who worked tirelessly for dialogue and understanding between the world’s great religions ... but it seems to me that the incendiary paragraphs related to a 14th century exchange between a Byzantine emperor and “an educated Persian” besides being extremely offensive are entirely extraneous to the general theme ... Then seemingly out of the blue, the pope quotes the emperor maligning the Prophet and Islam, omitting any caveat indicating he does not share the “erudite” emperor’s beliefs." Many people on both sides of this religious furor seemed to be wondering if the remarks by Pope Benedict XVI were planned and part of an overall strategy of some sort? The Ha'aretz article, quoted above, ends on this note, wondering if these incindiary remarks were calculated. Since the beginning of the Iraq War, Cutting Edge has been warning that the West is deliberately trying to provoke the Islamic world so much that they would launch a war against the West, even though they knew their military capability was far inferior. This strategy is called "Blood In The Streets". We believe it highly like that Pope Benedict's remarks were intended to provoke an Islam already up in arms over Bush's atrocities in Iraq and Afghanistan. As the cooler weather moves in the warmer clothes come out. Our fleece shirts with Christian messages are a great way to warm yourself and bring opportunities to share the Gospel and help our missionaries. Our sweat shirts are made from Hanes 10 oz. 90% cotton, 10% Polyester Fleece. Half of the purchase price of these shirts will go to support our 12 Spanish translators & Rev.Enrique Mejia, Church Planter in the Dominican Republic, our Portuguese translator in Brazil and Rev.Glen Namoc, head of the N.Mindanao Bible Institute in the Philippines. With our continued support to these fine individuals Cutting Edge is helping to plant churches and spread the Gospel of Jesus Christ. View our Fleece shirts and T-shirts also. * "Israel Seems To Be Outfitting Her Tanks With Scalar Tesla Dome Shields!" The animation shown in this article are spectacular, even better than in the book, "Oblivion"! 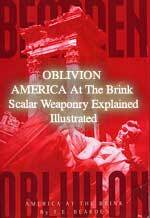 You will understand Scalar Weaponry like never before! * "BEING AFRAID -- Fear Is The Tool That “Priestcraft” Uses To Maintain Control"
From the fall of man in the Garden of Eden until this very hour, Satan continues in his quest to convince men that eternal life is attained by good works. And of course that is a lie straight from the “father of lies” himself. But what if I should be guilty of the same accursed sin as Judas, that son of perdition? I have been baptized into the name of the Lord Jesus; I am a member of His visible Church; I sit at the communion table: all these are so many kisses of my lips. Am I sincere in them? If not, I am a base traitor. Do I live in the world as carelessly as others do, and yet make a profession of being a follower of Jesus? Then I must expose religion to ridicule, and lead men to speak evil of the holy name by which I am called. Surely if I act thus inconsistently I am a Judas, and it were better for me that I had never been born. Dare I hope that I am clear in this matter? Then, O Lord, keep me so. O Lord, make me sincere and true. Preserve me from every false way. Never let me betray my Saviour. I do love Thee, Jesus, and though I often grieve Thee, yet I would desire to abide faithful even unto death. O God, forbid that I should be a high-soaring professor, and then fall at last into the lake of fire, because I betrayed my Master with a kiss." Subliminal Satanic Art Hidden In Catholic Church Art For Centuries! 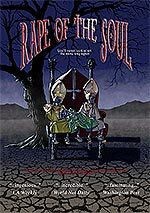 Now you can understand how the Roman Catholic Church is filled with the sexual perversions of her priests. For many centuries, Church art has been filled with Subliminal sexual perversions, mentally conditioning some kids to be future victims while other kids to be future perverted priests. Catholicism Seen Through The Eyes of Witchcraft! 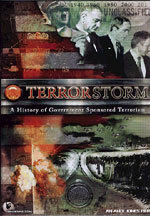 Terror Storm: History of Government Sponsored and Initiated Terror Attacks! 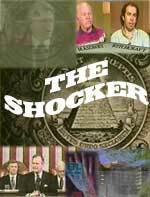 Watch video Clips that will blow you away online and more in this two DVD set.